On our end, it’s usually the AlterG Anti-Gravity Treadmill™ or AlterG Bionic Leg™ that grabs headlines. However, there are the three AlterG technologies that take these tools to the next level. They enable physical therapists and patients to be more effective during training and rehabilitation. Each patient is different, and a PT clinic might see dozens of patients a day. This particularity calls for tailored therapy programs. The question is, what tools do we have to deliver them? The AlterG Anti-Gravity Treadmill includes the ability to load pre-programmed workouts that are personalized for each patient’s circumstances. It’s an efficient way to optimize session time and therapy outcomes. Imagine if patients could learn and self-correct their movement in real time. In the past, this was not always possible. Our Digital Video Monitoring System (Digital VMS) provides instant visual feedback. It’s a way for physical therapists and athletic trainers to bridge the gap between complex data analysis and the user’s actual movements. Stride Smart, part of AlterG® Anti-Gravity Treadmill technology, provides objective data to optimize rehab in a wide variety of clinical applications. This also provides reporting capabilities that help PTs demonstrate the quality of care and medical necessity. As we’ve seen with our clients around the world, these technologies have the power to supercharge athletic training and rehabilitation. Yes, they help PTs do their jobs better. And that means these technologies help people get back on their feet and back to their lives sooner. 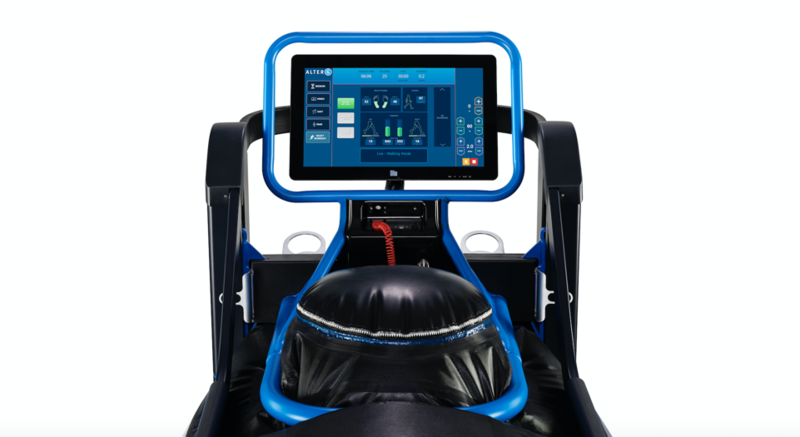 To learn more about practical and clinical applications of AlterG technology, including pre-programmed workouts, Digital VMS, and Stride Smart, use the link to test-drive AlterG today!